This just might get me to brave the dollar store again (ours is not so pleasant). I use these in my chemistry class. The show a great endothermic reaction. It's a cheap demonstration, and the kids love it. Oh my goodness! I wish I had known about these before I threw the Valentine's cards in the mailbox. Oh well, I guess I'll just find these and keep them all for myself. Those things are awesome! They actually sell them year-round at some of the dollar stores here. I did the same thing. I may now have to go back and get them. And this is why your blog is one of my favorites to read! Scaring cats, neighbors and one's self with exploding balloons! MUST go find these. Although I'm not sure what the border collie will think about this. She may decide that these are dangerous and are trying to eat us. I LOVE these! I actually bought some to send to my nieces and nephews in their Valentine's cards. Let's see if they survive the mailing process. They were so fun we made a video showing the inflation process. This made me happy to read/see! Did the cats ever come back in the room after the first one? Also, I don't know if the same "suggestions" from YouTube come up on everyone's screens after the video runs, but for some unknown reason, there is a copy of the Miranda warning that shows up on mine! Watch out -- the cops may be coming for you two! You'll be charged with balloon rowdiness and excessive fun. Oh no. I'm going to go spend so much money at the dollar store. Hahaha! Looks like loads of fun! Oh man, thanks so much! My kids are going to love some of these! This needs to be a thing. I demand to see videos of exploding balloon parties! LOVE this! 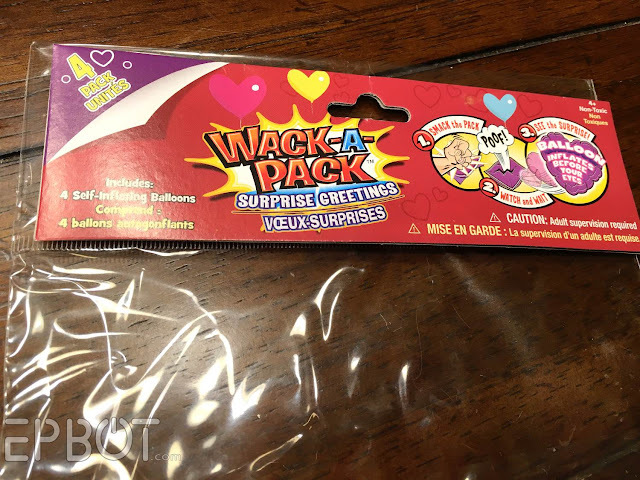 My son's birthday is in a few weeks so I ordered some birthday whack-a-packs from Amazon. Not sure how he will feel about exploding balloons for his 35th, but I'm going to have a blast! First of all, I LOVE your laugh! Second, I now know what my Jr. Church kids are getting on Sunday! Don't think there were balloons involved, just the explosion. Big kids of the world unite. Wonder if we can buy these in the UK. Oh, I discovered these several years ago and my nieces LOVE THEM. I need to go grab them some for Valentine's day for sure. I'm glad you figured out what was in them. I was a little concerned that it was something more harmful than citric acid. It's a relief to know it's not. Enjoy!! Jen, thank you so much posting this. 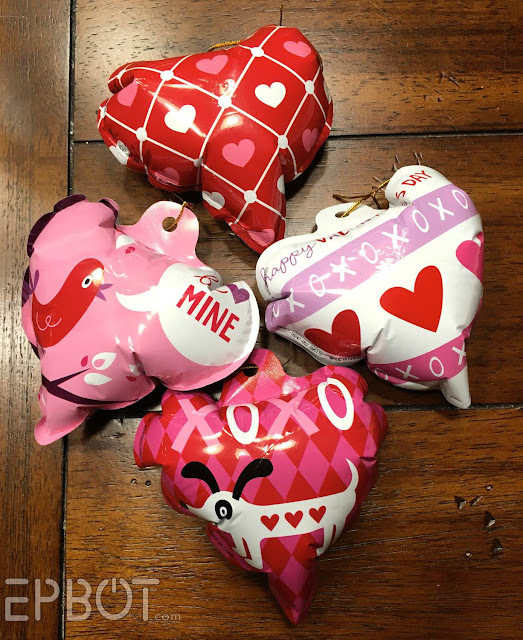 I found these and bought a package each for my 2 girls - not to give away, but so they could each blow up 4 of them (or give away unexploded ones if they chose). They were a huge hit!!! !